Our house is warm and cozy. Once you get inside you feel relaxed and get into the vacation mode. We love it. We live next door to Yair's parents; in a separate house with separate entrance and full privacy (in case you need they will be glad to help in any issue). 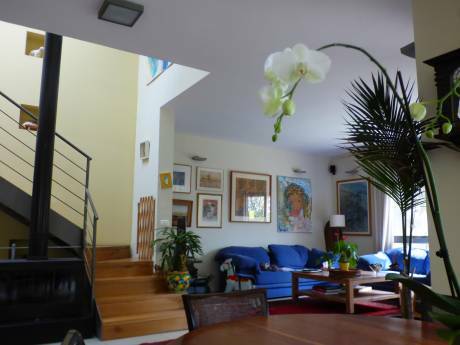 The house is around 80 sqm with 2 bedrooms and living room. It has high ceiling with timber. The kitchen is fully equipped in case you want to make your own food or barbeque outside on the lawn. 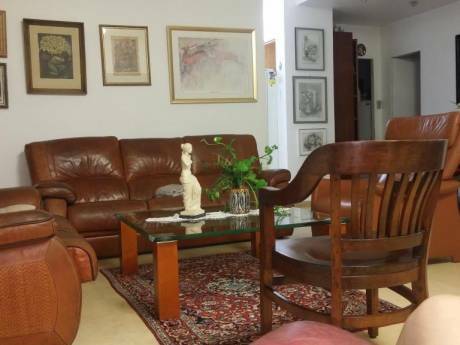 The house is surrounded with a nice and wide garden, with many kinds of fruits trees, such as Figs, Pomegranate, Mulberry, Olives, Pecan and more.Bicycles and Kayak is available. We are Hila and Yair, both of us are in mid thirties. Hila is an occupational therapist who works with children and Yair is a banker. We have 2 sons: 5 and 3 years old. In our free time we like to travel, hike, Enjoy good food and discover new places. We are new to home exchange and looking forward to this new experience. Binyamina is a beautiful charming village. It is surrounded by agriculture area, mainly wine grapes and therefore there are also big and small wineries in the area. Binyamina is place for a relaxed vacation but the area has allot to offer if you are looking for activities. It is a wonderful base for bicycle ride in the fields and the mountains around; there are also many walking routs around. The beach is 10-15 minutes drive. Binyamina is located on the rail between Tel Aviv and Haifa (aprox 30 minutes) where you can find plenty of activities, museums, galleries and restaurants and nightclubs. The train also commutes to and from the airport. The train station is 12 minutes walk from our house. In the area you can find the village of Zichron Ya'acov with its beautiful pedestrian street and Ramat Hanadiv Gerden (7 min drive). 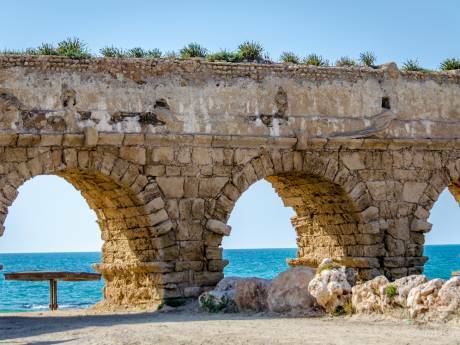 The ancient archaeological roman town of Caesarea is 10 minutes drive. In the village you can find cafe, restaurant, winery, pub, grocery shop, bank, post office, pharmacy and more.